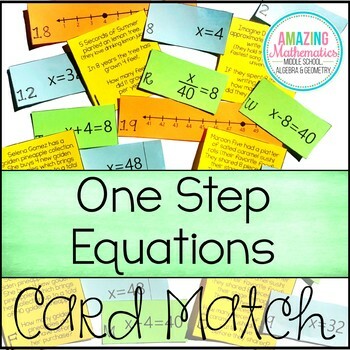 This set of matching cards requires students to write a one step equation from a word problem, solve the equation, and graph their answer on a number line. 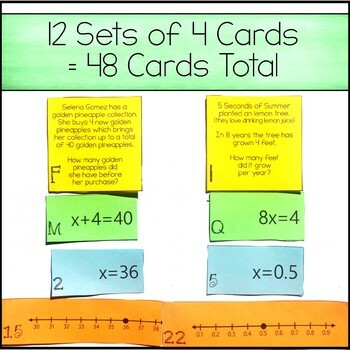 There are 12 problems, each with 4 cards, for a total of 48 cards to cut out and sort. 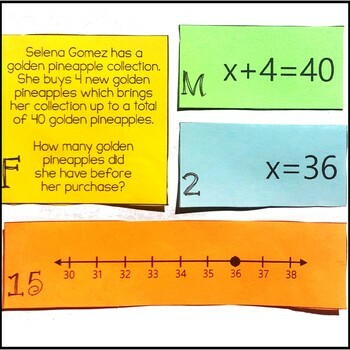 All problems use the same numbers so students can't just use "tricks" to figure out the answer. 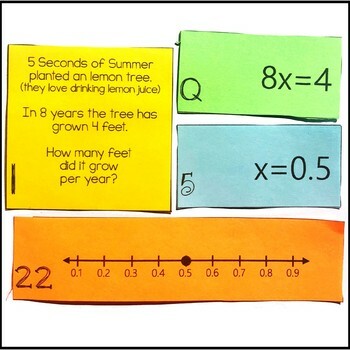 Please view the preview for an exact picture of this product if you are unsure that it is the right match for your classroom. There are no negatives in these cards. All answers are positive.